A solar wind stream flowing from this coronal hole could reach Earth on March 16-17. Credit: SDO/AIA. INCOMING CME: A CME from sunspot AR1429 is nearing Earth. According to analysts at the Goddard Space Weather Lab, the cloud will arrive on March 11th at 0649 UT (+/- 7 hr). 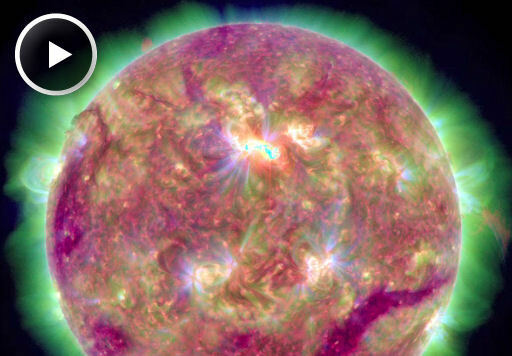 NOAA forecasters say the odds of a strong geomagnetic storm at that time is 50%. Aurora alerts: text, phone. The tsumani was about 100,000 km high and raced outward at 250 km/s with a total energy of about 2 million megatons of TNT. Such waves often underlie CMEs like the one en route to Earth now. Animated forecast tracks show that the CME will also hit the Mars Science Lab (MSL) spacecraft on March 12th followed by Mars itself on March 13th. Mars rover Curiosity onboard MSL might get some interesting readings as the cloud passes by. "Almost immediately after sunset, the sky began to fill with ribbons of auroras above Chena Hot Springs (just outside Fairbanks) in Alaska," reports photographer Christopher Freemantle. "The intensity grew until very bright, multicoloured and fast moving auroras were visible." Although the magnetosphere is calm now, more storms arre in tthe offing. A CME hurled toward our planet by the M6-class solar flare of March 9th is expected to reach Earth during the early hours of March 11th. 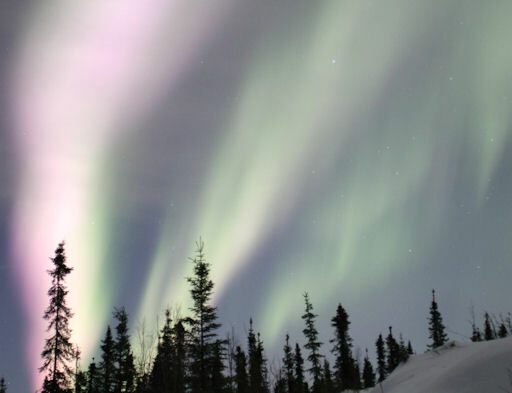 High-latitude sky watchers should be alert for auroras. Aurora alerts: text, phone. On March 10, 2012 there were 1287 potentially hazardous asteroids.